Over the past four decades, YouthLink has connected thousands of young people to the services they need to transform their lives. Many of these young people leave YouthLink empowered and ready to continue on their journeys of self reliance. We reconnected with some of our alumni to talk about their experiences with YouthLink—and where they are now. Despite feeling out of place, she started to settle in. “It looked like a home when you walked through the door. I was very much an introvert, but I could get my needs met. Carl was cooking all the time. It felt like a homey place. 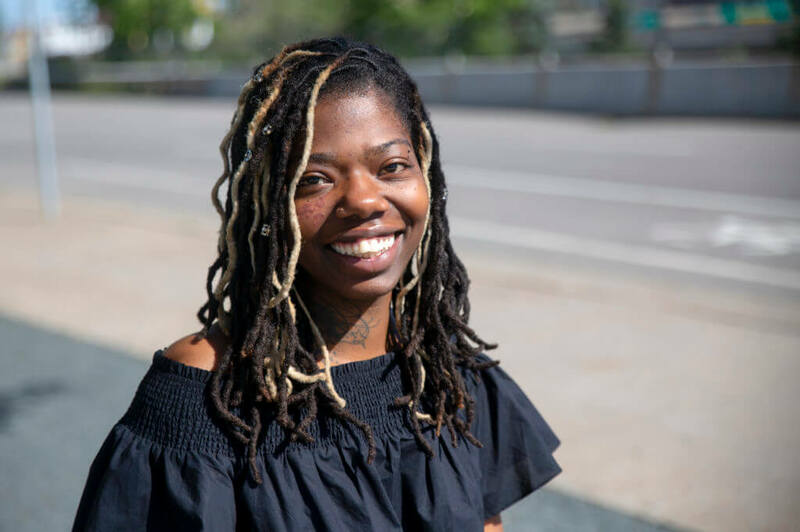 Even when the staff pushed Ebonii outside her comfort zone, she respected where they were coming from: “One of the staff members used to ride me about getting my GED. I wasn’t ready. I used to blow her off for a while. But she pushed me and I ended up getting it. It turned out for the better. Many would argue Ebonii has already become that success story. In the years since she’s left YouthLink, Ebonii has kept an apartment and a steady job in addition to going to school and volunteering to help children and senior citizens. Going below the surface, Ebonii notes her personality has changed for the better as well: “I’m more compassionate than I was when I first walked through that door. The only person I cared about was myself. Now I know you can’t take anything for granted.